In general, Ermera municipality is very rugged country and sparsely populated. It is the coffee producing heart of Timor-Leste. With steep hills covered in coffee forest, looking towards towering Mt Ramelau in the south often all that can be seen of most towns is their colourful church spires poking out through the trees. Coffee is a shade loving plant which flourishes beneath the large canopied albezia trees. During the harvest season local people can be seen picking the ripe red coffee cherries that are then spread along the sides of the road and anywhere else flat they can find for drying in the hot sunshine. Down on the lush, green river flats tropical fruit and vegetables are grown around the main towns of Gleno and Ermera and local market days are colourful and interesting social occasions with people often coming considerable distances from the surrounding villages. Examples of Portuguese architecture can be seen in the old town of Ermera. 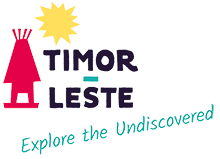 On the western flanks of Mt Ramelau, Letefoho is a pretty village with a combination of Portuguese architecture and traditional Timorese houses. An alternative approach to climbing Mt Ramelau can be arranged from here. Further to the south lie the small market town of Atsabe and the nearby Bandeira waterfall, the highest in Timor-Leste and an impressive sight in the wet season.